Technicians are often praised for being incredible multi-taskers. We've been known to juggle so many things at once it would make most people's head spin. There is an area in veterinary medicine, however, where we should not be praised for multi-tasking and that is in regard to monitoring anesthesia. Our sole focus should be on the patient and every last detail of each vital recording. The problem usually occurs when we are forced to monitor anesthesia and perform a dental cleaning simultaneously. Since both jobs are usually done by trained technicians, many practices then feel that one person can handle both tasks along with the premise that it is also cheaper to do so. But is it really okay and is it really cheaper? In my humble opinion, it is not okay to be subjected to multi-tasking during an anesthetic procedure. If you are running to grab a towel or pair of gloves during a surgery, that is one thing, but to be forced to completely juggle your time between scaling/polishing/charting/x-raying, while keeping your patient stable under anesthesia is a simple no-no in my book. The problem is that you simply cannot keep track of your patient to the highest standard. 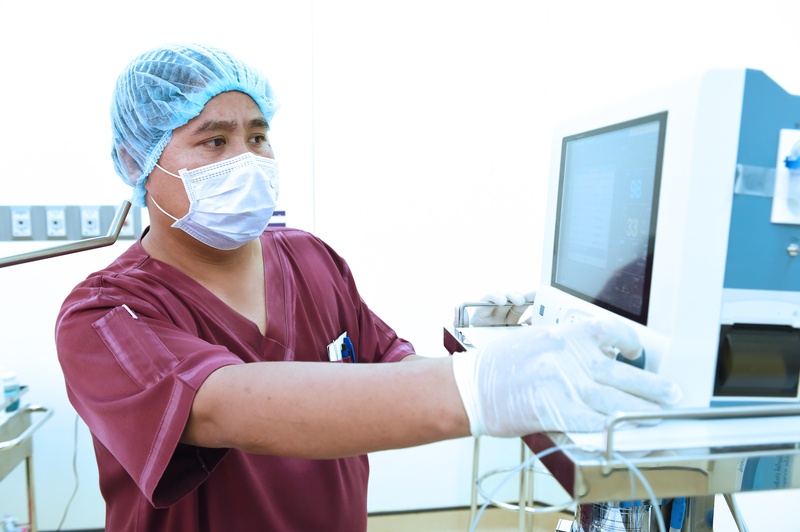 Even during a regular surgical procedure, many technicians are struggling to keep their patients warm, with good blood pressure, proper fluid rates, good O2 saturation, and balancing the proper depth of anethesia. So now we need to do all that while fiddling in their mouth for 30 minutes to 2 hours (if you include x-ray and extraction time)? To me, it sounds like a recipe for disaster, and oftentimes it is. While cleaning teeth, I would have to stop to record the vitals, stop again to warm up fluid bags or adjust the warming contraption and stop yet again to fix my monitoring equipment. This precious time easily adds up (and my guess is that I easily lost 30 minutes during each dental cleaning, if not more). Then, when the argument arises that a veterinarian cannot afford to pay two technicians during a dental cleaning, you must ask yourself if they've really done the math. Two technicians could almost do double the work in half the time, allowing for your clinic to schedule more dental cleanings all while making them safer. Patients will be under anesthesia for less time, receiving continual anesthetic monitoring and a beautiful smile afterwards. Tell me that isn't worth a pet's life and a vet's reputation. I've known some clinics to change their standard of care only after an incident, but we really shouldn't wait and see if we will make a mistake. We should be proactive in our dental cleanings giving the best attention to monitoring and to the cleaning itself. Luckily, we have AAHA on our side. Just read page 5 here. So what will it take for your clinic to change?